The Ford Edge is the first SUV designed by the Ford Performance team. If you live anywhere near the Northeastern part of Oklahoma, it is worth the short drive to Vance Ford Lincoln in Miami, OK to experience the thrill of seeing, touching and driving the Edge for yourself. Vance Auto Group has been faithfully serving Oklahomans for over thirty years. That adds up to a ton of satisfied customers. We offer small town friendly honest service with a big city inventory. Not only is the Edge fun to drive, it offers a quiet comfortable interior and with brains to match. It is equipped with the latest technology. Introducing the Ford Co-Pilot 360 technology: with available Adaptive Cruise Control, Lane Centering, Evasive Steer Assist, and Auto Emergency Braking (AEB). The Ford Edge offers more Driver Assist than any other midsize SUV including Rear View Camera, Blind Spot Info System, and Cross Traffic Alert. The Edge is built for an enjoyable but safe ride. It gets an impressive 19 MPG in the city and 26 MPG on the highway. Up to five passengers can sit comfortably in this sporty SUV that offers touchscreen information and entertainment at your fingertips, as well as navigation and safety. Check out the sporty colors to match your personality. It’s powered by 335 Horse Power and offers 380 lb-ft torque. You’ll find a thrilling drive along with dependability, durability and technology. 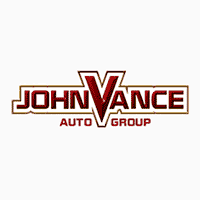 Vance Auto Group has 9 full service dealerships offering a great selection of used vehicles including a great choice of preowned Ford Edge SUVs. Vance Ford Lincoln in Miami, Oklahoma is one of our Ford dealerships with all the help you need to find the perfect new Ford Edge that fits your lifestyle and personality. Shop our website. Call us. Better yet—come visit us at Vance Ford Lincoln in Miami, OK where we’ll show you how we’ve been satisfying customers for over thirty years!